Q: I have a Monitor and the power will not come on, what do I do? A: Check that the power cord is plugged in to a surge suppressor or wall outlet. Check that the monitors power switch is also turned on. Q: What are the correct settings for my monitor resolution? A: Check the website: http://ctl.net/displays and select your monitor model number and you will find specifications for all of our monitors there. Q: Where can I find drivers for my monitor? A: You can download monitor drivers from this link. Double click on the driver for your monitor and choose where to save it. Most windows installations do not require these drivers. Q: Why won't my computer let me select more than 16 bit color? A: Get the latest video card drivers from your video card manufacturer's web site. Q: Why does my monitor turn off after about 15 minutes? A: This could be a result of power saving features. Check your power saving options in control panel. Check the power saving features of your computer's operating system. Q: I am using my DVI cable and I am unable to adjust some of the controls on my monitor. A: Right click on the desktop and select properties then select the corresponding tab to adjust your brightness and contrast etc. When using DVI, control is taken over by the video card. Be sure you have the latest video card drivers. Q: When does my warranty expire? A: If you purchased a new monitor the warranty is 3 years from the purchase date. If you purchased a used or refurbished monitor the warranty expires on the date printed on the back label. 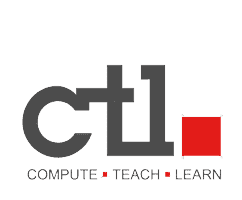 Q: Can I bring my in warranty CTL monitor in for repair? A: You can bring it to our Beaverton Oregon office for repair. Q: My monitor is out of warranty can it still be repaired? A: Depending on the model and parts availability your monitor may be repaired. Q: Is physical damage covered by my warranty? A: No, only defects in workmanship are covered by your warranty.